St.LukesHealth CEO Paul Lupo outlines a Federal election wish list to ensure a sustainable and affordable private health insurance system in Australia. For the first time, businesses and community groups can hire rooms within the historic house at Eskleigh Estate for meetings and events , with proceeds going towards the Eskleigh Foundation. With hydro storage levels dropping below recommended minimums across Tasmania for the first time since the 2016 energy crisis, the Tasmanian Gas Pipeline is again playing a vital role in the state’s energy security. 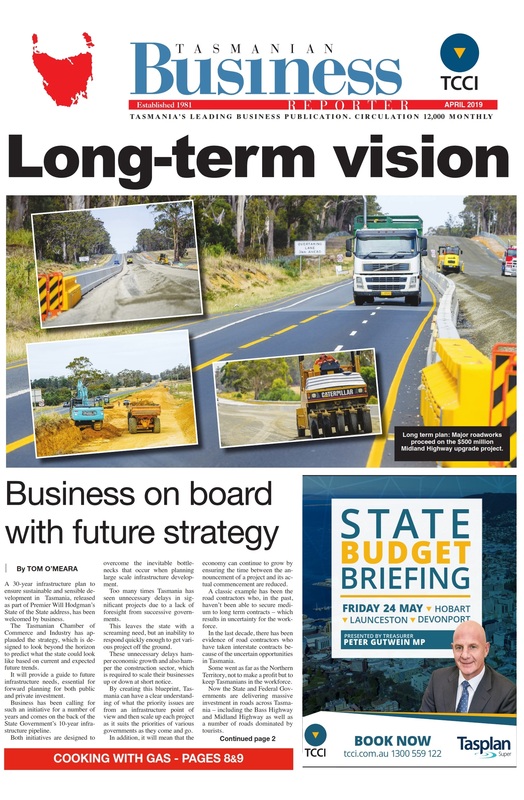 Long term plans to improve Hobart, Launceston, Devonport and the rest of the north-west coast gives Tasmanian business certainty to invest in equipment and people, writes TCCI CEO Michael Bailey. Deliveries of turbine components are underway as the $300 million Goldwind Cattle Hill Wind Farm starts to take shape.